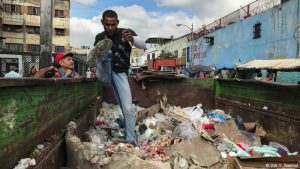 “The situation is dramatic” said the CAPAZ Academic Director, Stefan Peters, on the crisis in Venezuela in an interview with the German newspaper Gießener Allgemeine Zeitung. 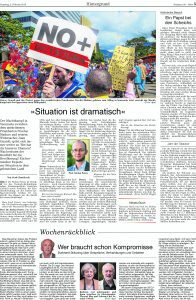 Read the interview with Dr. Peters (published on February 2, 2019 in Gießener Allgemeine Zeitung, No. 28, p. 5. In German). Bermúdez Liévano, A. (2019). 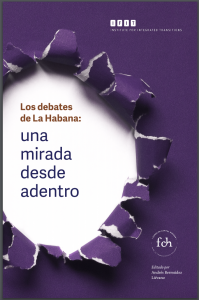 Los debates en La Habana: una mirada desde adentro. 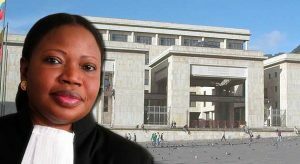 Barcelona, España: Fondo de Capital Humano para la Transición Colombiana, Instituto para las Transiciones Integrales (IFIT). Cover of the edited volume. Wolff, J. (2016). Peacebuilding and Democracy Promotion: What current challenges to the latter might tell us for rethinking the former. En T. Debiel, T. Held, U. Schneckener (Ed. ), Peacebuilding in Crisis. 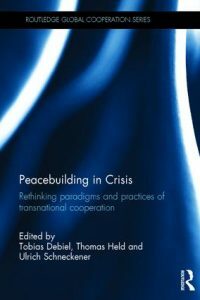 Rethinking Paradigms and Practices of Transnational Cooperation (pp. 73-90). Abingdon, England: Routledge.